CheerandPom Blog: New Cheer Arrivals: What We're Loving! New Cheer Arrivals: What We're Loving! Worlds 2015 is this weekend! Yep, that's right, in 2 DAYS!! Just in case you weren't obsessively counting down the minutes like we are. Shhh no judging us! What can we say, we're just a little cheer obsessed. Well we need something to occupy our time instead of becoming consumed with our intense countdown. So guess what the nice delivery man gave us to distract us?! Amazing new cheer arrivals! You're going to fall in love just like we did. So just in case you missed what happened this week here at Cheer and Pom, Here's what we're loving! 1. Nike Pro Combat Bras with brand new colors to choose from! Let's face it, your up in the air, jumping, tumbling, and stunting. So you need the most support for your girls as you can get. This is the bra you need! 2. Adidas Go To Hoodie. Ultra-Soft, lightweight, breathable, and comes with thumb holes to keep your sleeves in place! Do we really need to continue? Didn't think so. 3. Adidas You're the One Zip Up Sweatshirt. Relaxed fit, easy to throw on after practices or games, and its breathable. Win! 6. Nike Pro Compression Shorts. It's all about the big bows and Nike Pros. Right!? Right. We just got in more of them. 2 different lengths, in 2 different colors. These are the ultimate shorts. You NEED them. 7. Say hello to perfect. Nfinity Sparkle backpacks in the best colors! Purple, Pink, Blue, Red, and Black! 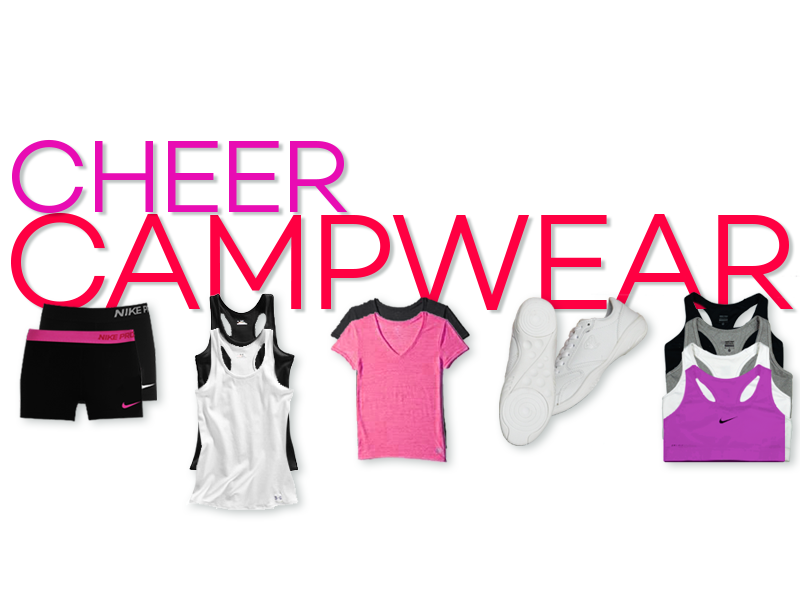 Cute, trendy, durable, and tons of room for everything you need for cheerleading. Seriously selling so fast. Get one while you still can! Need backpacks for your whole team? Call us for team pricing on them! You won't regret it! So there you have it guys! That's what we've been obsessing over this week (well, besides worlds obvi). These new arrivals are a can't miss! Head on over to our website to see all of our new arrivals! What is your favorite? We'd love to know what you think about your purchases!